Dropping the kickstand, Xalia and Shinjo dismount the bike. "You still haven't answered my question," Shinjo sighs, "What is this place, and why are we here...?" He looks off to take in the scenary, wiping a bead of sweat; an occasional clash of magma against land or bursting of a magma bubble. 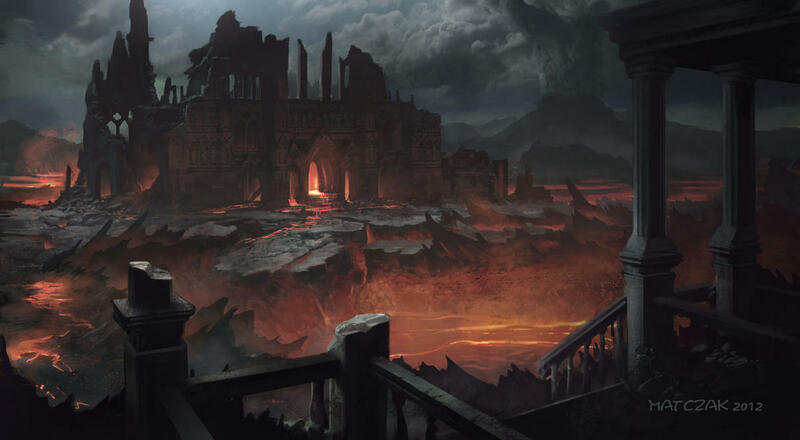 "This was my home for a few years," Xalia replies looking around, "Before the volcano ruined the area, this was where the Demon School was located," she begins to move in a direction, Shinjo left with no choice bu to follow, "I suppose it still is. There are a few still here, probably using the environment as an opportunity to further themselves..."
Shinjo didn't question it, but he was intrigued, "Demon School....huh?" Soon they arrive to what seems to be, rather; have been, some kind of temple.